After the show at Raster, a selec­tion of Small Pain­tings is presen­ted at an exhibition at Gdańska Galeria Miej­ska under the moving title The Skeletons Must Rise (in Gdańsk through 26 August). The theme of the show is the con­dition of the con­tem­porary museum. Other artists in the show inc­lude Olaf Brzeski. Another pain­ting specially prepared by Matecki can be seen in the travel­ling show Speedway in Art at BWA in Tarnów (also through 26 August), accom­panied by works by artists inc­luding Marcin Maciejow­ski and Wil­helm Sasnal. Last but not least, there’s also two individual shows by Prze­mek Matecki scheduled. One opens on 16 August at Raw Art Gal­lery in Tel Aviv, featuring Small Pain­tings as well as the premiere of works pain­ted together with Paweł Althamer. The other is at kunst.​museum.diesel­kraftwerk in Cot­t­bus. It is the first museum presen­tation of the artist’s works in Ger­many. 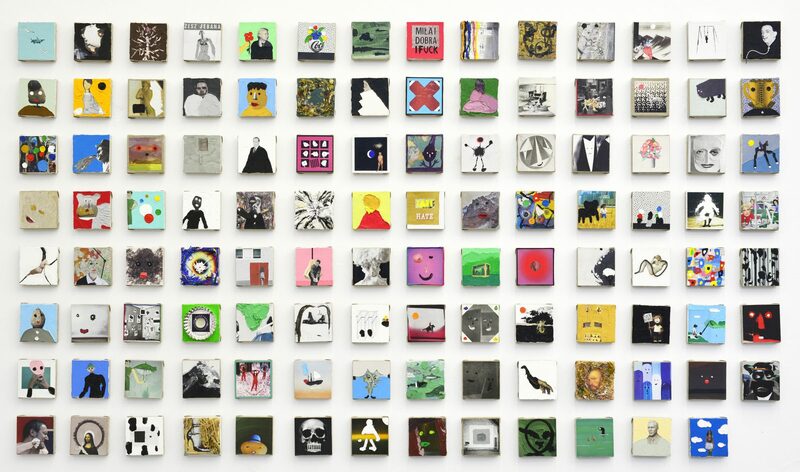 It inc­ludes over 500 canvases from the series Small Pain­tings, arran­ged in a new pat­tern on the walls of one large room at the museum. The exhibition, prepared in cooperation with BWA in Zielona Góra, runs until 18 November. 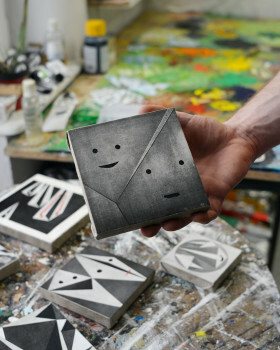 Matecki gives new life to reproduc­tions from exhibition catalogs and art magazines, trans­for­ming them into puz­zling, witty miniature oil pain­tings, with a format not exceeding a frame of a 20×20 cm square.